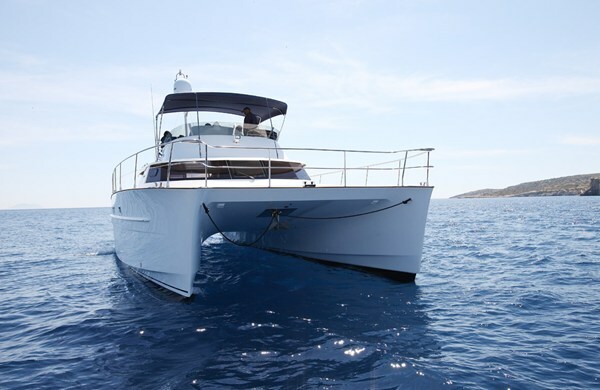 Luxury power catamaran CHRISMA was built by French Fountain Pajot, she is a Cumberland flagship owners version measuring 14m (46ft). 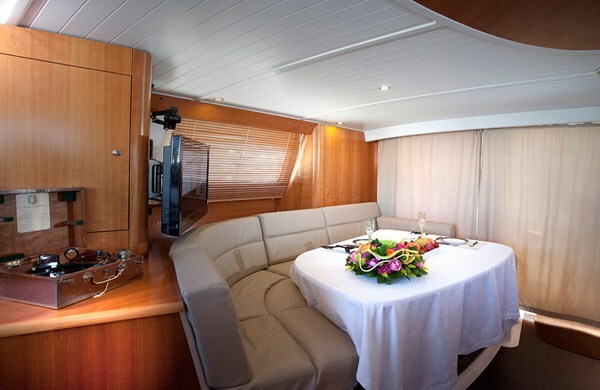 Charter yacht CHRISMA is available in the east Mediterranean for up to 6 guests in 3 en-suite cabins. 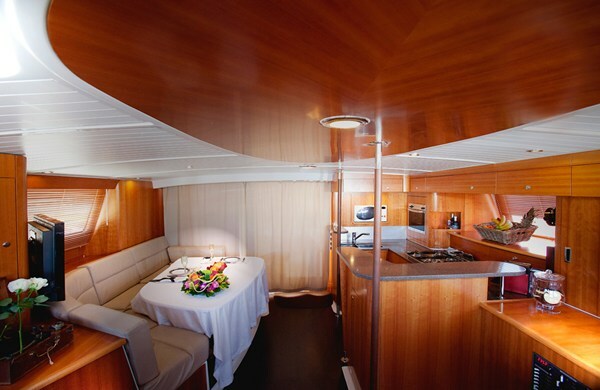 The motor yacht CHRISMA offers an elegant interior featuring warm wood panels, soft neutral furnishings and fine attention to décor detail. 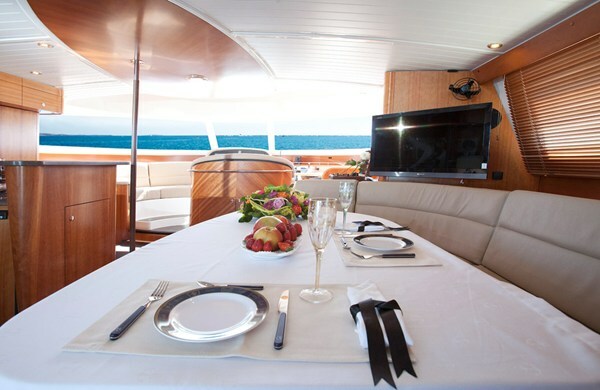 In the salon, guests can dine in elegance or sit back and relax on the supple leather soft furnishings. 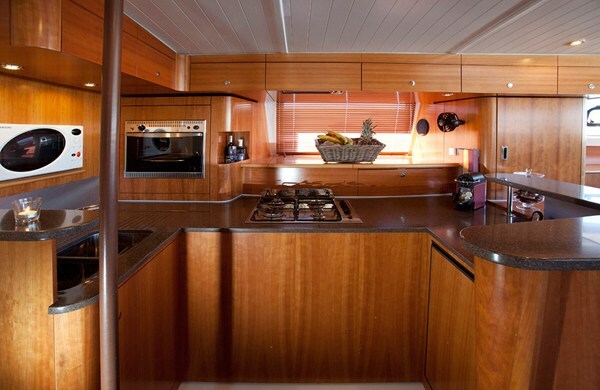 The galley is topped with quality marble and sits adjacent to the salon and dining space. 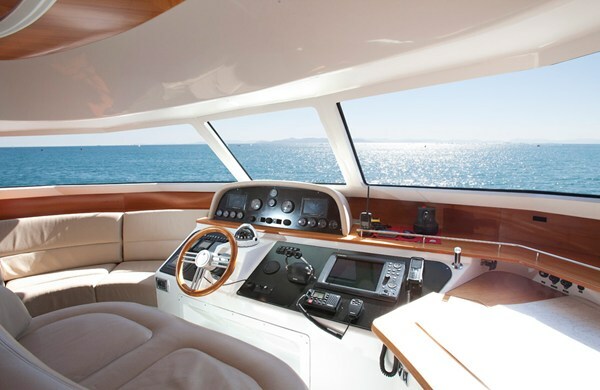 Forward, the navigation station offers a further comfortable seating area with idyllic views. 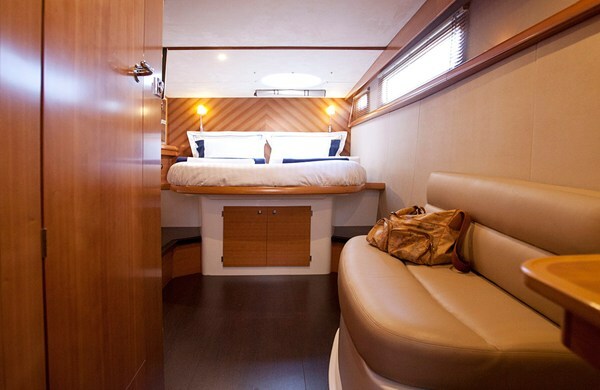 M/Y CHRISMA boasts ample exterior living over her wide 6.5m (21.3ft) multi hull design. 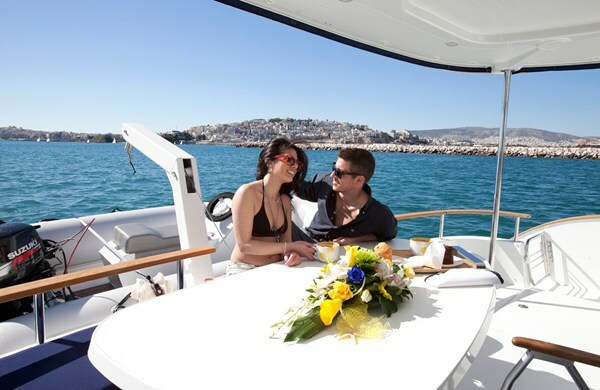 The guest cockpit has an alfresco dining option and seating for 6 with an overhead Bimini cover providing plenty of shade. 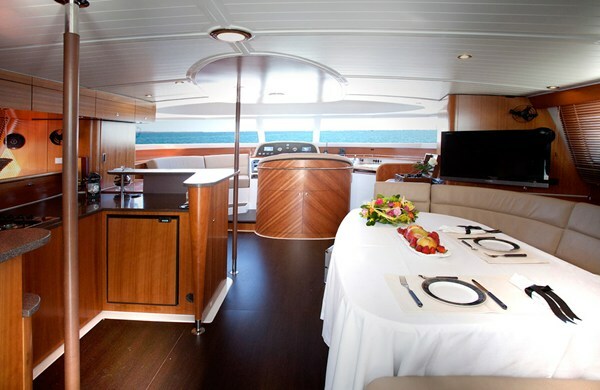 The foredeck is prefect for sunning, with plenty of open deck space. 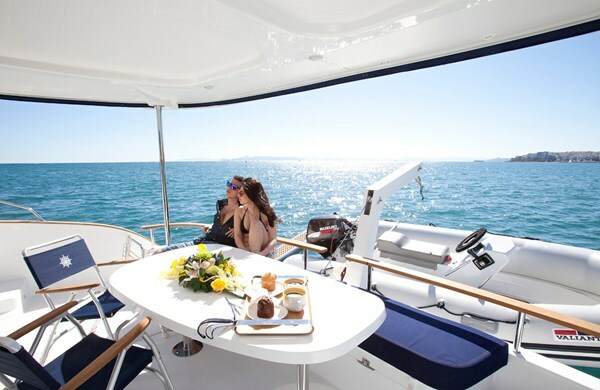 Above the main deck, the flybridge is ideal for entertaining, offering a further alfresco dining table, additional seating and helm station. 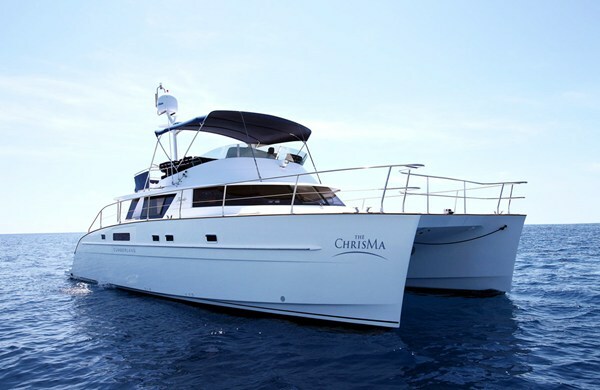 Charter yacht CHRISMA boasts an extended swim platform for effortless water access. 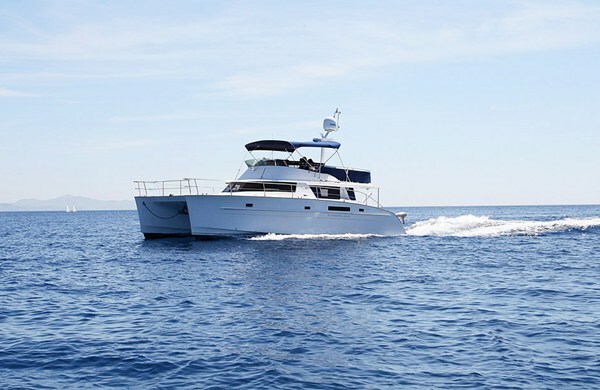 The power catamaran CHRISMA is powered by 2 Volvo D4-300 diesel engines, she cruises comfortably at 8 knots and can reach top speeds of 23 knots. 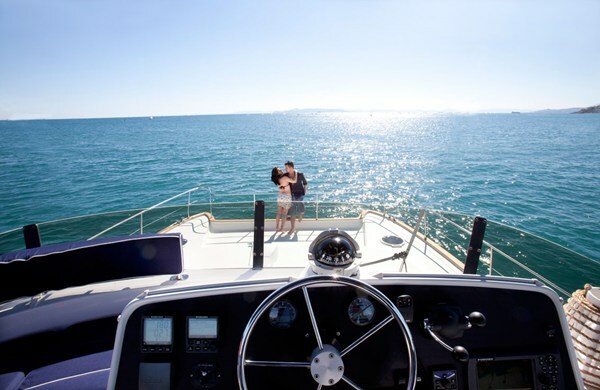 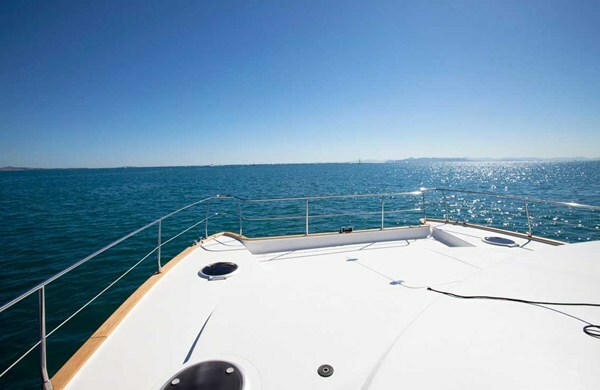 The yacht features a shallow draft of 1.3m (4.2ft), allowing her crew to navigate into bays and anchorages many cannot. 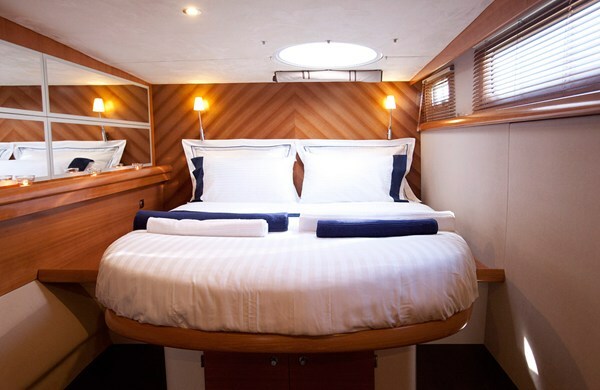 Below decks, M/Y CHRISMA can accommodate up to 6 guests in 3 en-suite double cabins, making her the ideal yacht for families and friends alike. 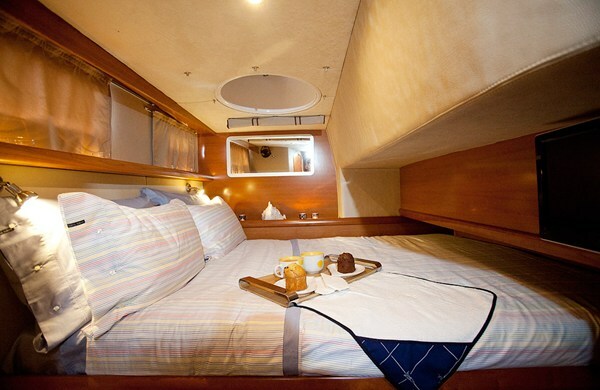 The master suite is on the port aft and features a queen size double bed. 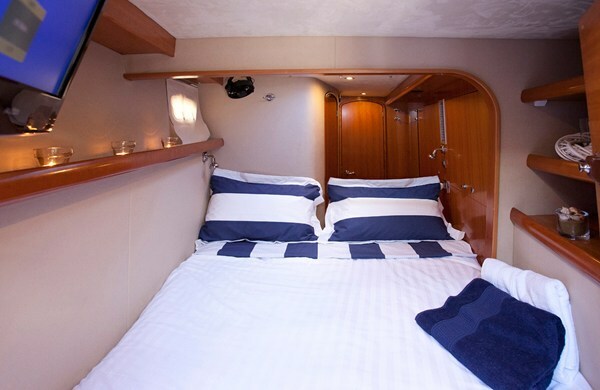 On the starboard side aft and amidships, are 2 double cabins, both with double beds. 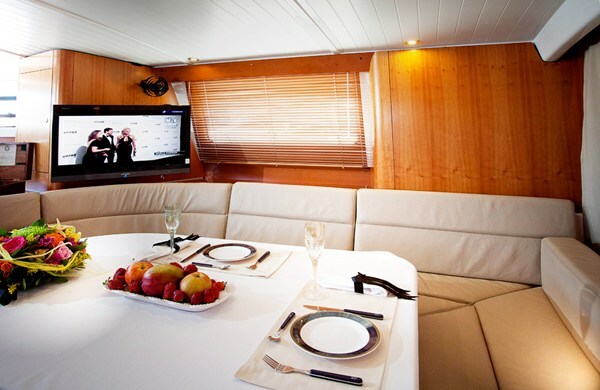 Each cabin offers a serene elegant atmosphere and boasts TV entertainment and full air conditioning. 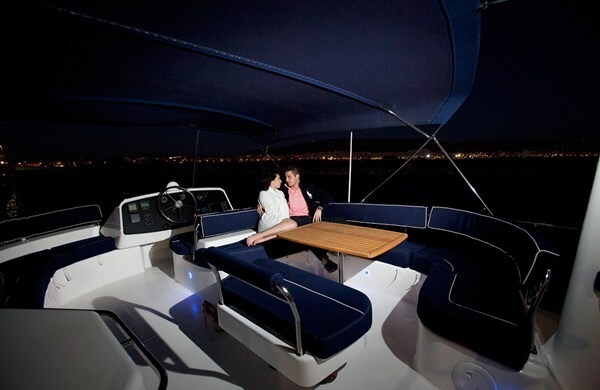 The Cumberland 46 yacht CHRISMA has a Tender with 15hp engine, Satellite TV, 4 LCD TV's (32” in salon and 18” in cabins), 4 DVD players, Internet connection, Stereo iPod hook-up, Fans in cabins, Air conditioning throughout.